Share the post "Business intelligence is a lifesaving drug for the pharmaceutical industry"
As data is becoming increasingly available, it is essential for pharmaceutical companies to maintain or improve the quality of information contained in individual reports which boosts their ability to remain compliant with continually changing regulations worldwide. There is a need of solutions that could mine, analyze, and translate the colossal amount of data into actionable insights. The ever-changing market demands increased innovation and lesser time-to-market products. Hence, it is essential for pharmaceutical companies to evaluate efficient business models and focus on emerging technologies for translational medicine. To achieve solutions for such challenges, it is apparent that the entire data capturing, handling, and processing needs to shift. Handling disparate data sources is yet another issue faced by pharmaceutical companies. They receive data from third parties such as clinics, hospitals, sales reps, and many other sources. And storing and processing such varied formats of data becomes difficult. By leveraging the latest technologies and approaches like business intelligence, organizations can attain knowledge generation that will help them change their business paradigm. Pharmaceutical companies have started realizing the importance and role of BI solutions to improve research with the goal of accelerating organizational growth and saving costs. BI is finding a new and prominent position in pharmaceutical organizations, including project resource management, sales force tracking, and regulatory compliance reporting. It is difficult to track, compare, and maintain the internal data with the standard datasets provided by the government. Business intelligence solutions for pharmaceuticals eliminate the need of interdependency within various departments and make it easy for them to retrieve information whenever needed. Business users don’t have to depend on their colleagues entirely to be able to access data and create dashboards. Rather, they can access key metrics and reports easily at any time. This gives them better ability to use research data from across the organization to get an effective comparison to measure the performance of several operations based on government standards. This allows pharmaceutical companies to efficiently adhere to compliance and notify departments or processes that do not meet the standards in real-time. 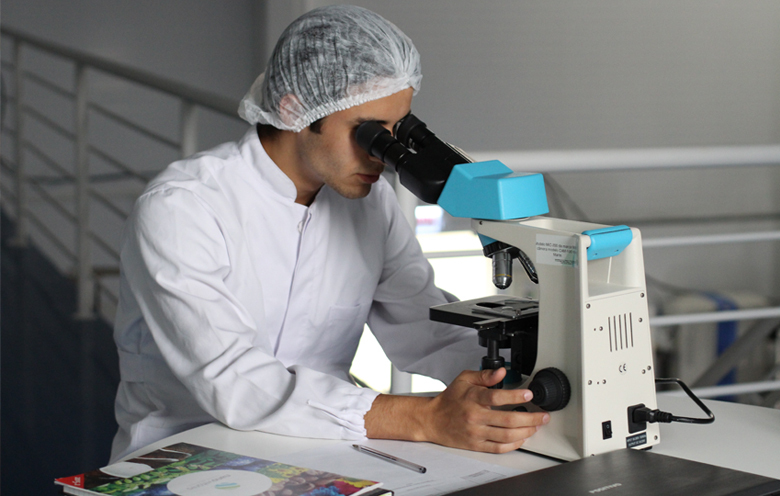 By harnessing the power of business intelligence and analytics, the pharmaceutical industry can avail the necessary quality checks to ensure the delivery of the product with finest quality. Pharmaceutical companies are under intense pressure to expedite products to the market while keeping costs down. It is imperative to monitor and manage clinical data to accomplish this. With the analytical capabilities of BI tools, it becomes easy to track information provided by clinical trials, and research and development processes. Moreover, these insights gathered by implementing BI enable pharmaceutical companies to identify trends and inconsistencies as well as inspect risks during product development and launch. Business intelligence provides visualizations in the form of interactive reports that allow you to forecast what you should sell more often, which category or product will perform better in terms of sales, and when will you make the sale. This further leads to significant downstream improvements such as perfected order, optimal inventory levels, and higher profit margins. According to Aberdeen Group, effective use of business intelligence by sales and marketing teams can lead to improved customer retention rates, higher revenues from up-sell/cross-sell campaigns, and enhanced levels of customer satisfaction. By utilizing the insights provided by BI solutions, marketing and sales teams can improve the accuracy of their forecasts and better identify seasonal demand, slow-moving drugs, outliers, and much more. Forecasting provided by BI gives you the right information at hand to support the underlying analysis. Moreover, it reduces operating costs with process optimization of sales management and helps you to optimize collaboration and exchange of information with customers, suppliers, and partners. The three areas of pharmaceutical business that are most impacted by business intelligence solutions are marketing, sales, and supply chain. However, with varying compliance, BI is emerging to be a game-changer for the pharmaceutical industry. Business leaders are looking for strategies that emphasize the application of data to address several business challenges. You might get answers to questions like what is happening, with traditional reporting methods. But with business intelligence, you’ll get answers to questions like how it happened, and also get insights into what you should do next. You will be able to monitor a huge amount of information that flows across the entire organization and turn it into useful, actionable information to achieve increased proficiency and improved decision-making. For further information on how BI can help you with a 360-degree view of your business, talk to our data experts.